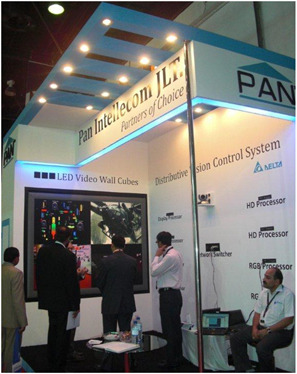 Pan Intellecom JLT showcased the world's most powerful HD video communications system, the LifeSize Room 220. With LifeSize Room 220, you get the highest level of quality available today – FullHigh Definition, standards-based 1080p30 for the highest resolution on the market and 720p60 for the best motion handling with lower latency. But, LifeSize Room 220 comes standard with an embedded 8-way Continuous Presence multipointbridge showing 4 visible sites, complete with transcoding and all digital I/O. Plus, LifeSize Room 220 also has a point-to-point throughput of 8Mbps. And the compact, sleek unit is less than half the size of comparable solutions.